Shorten your workflow and access important information directly! 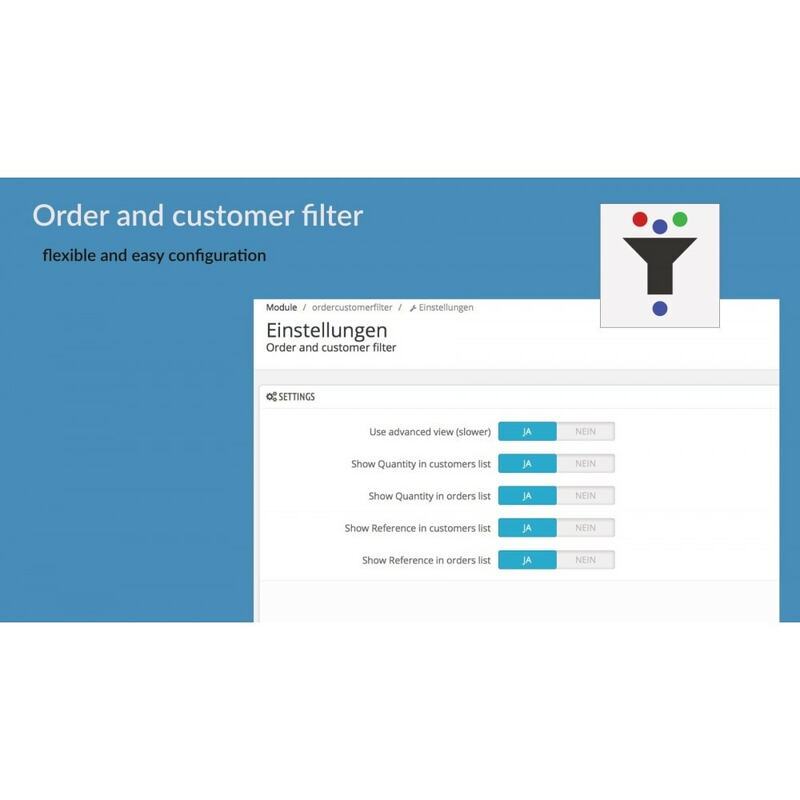 Adds a great filter feature in the customers and orders list in your backend. 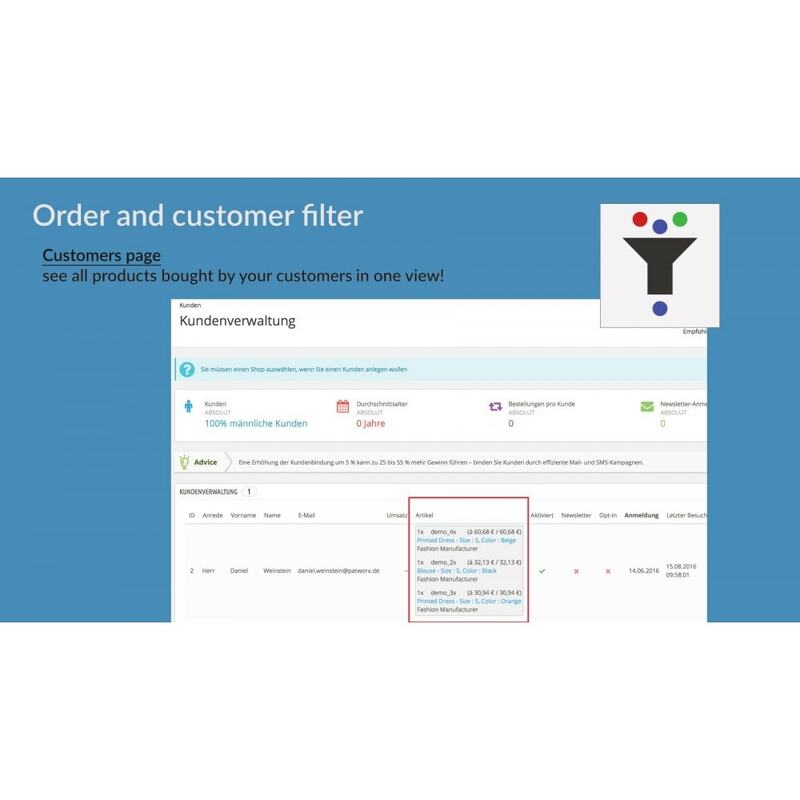 Use this filter for marketing actions or filter your shop to create useful statistics. 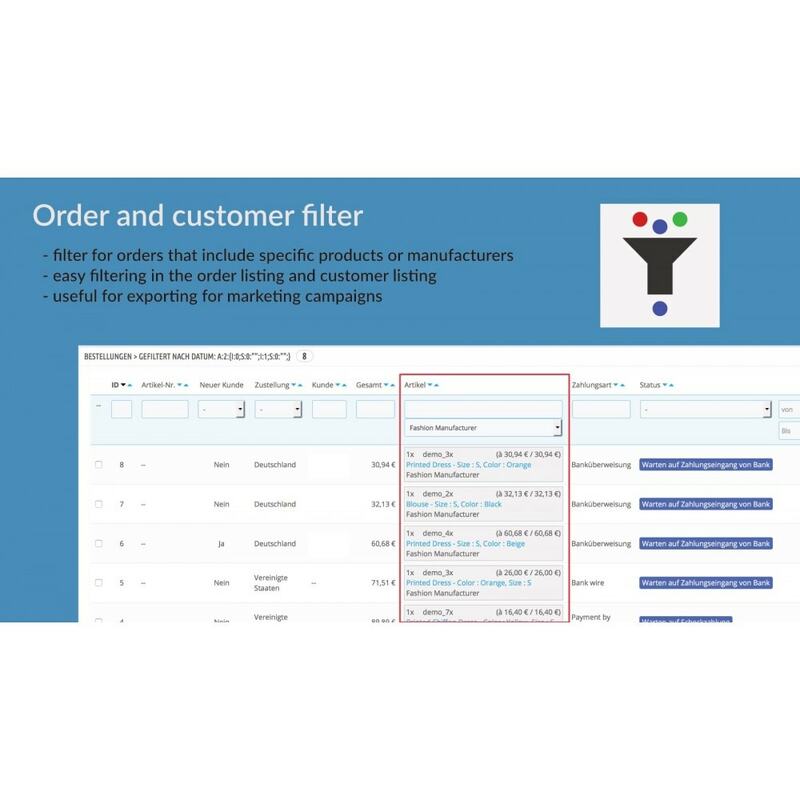 If you, for example, want to send a special mailing to clients that have ordered product X, now you can select exactly those customers and export the data. This gives you a very useful marketing instrument. Filter according to ordered articles in free text! Without having to click individually in the orders themselves!